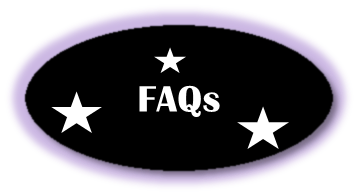 FAQ's - Pixie & Pirate Destinations *|* Wishes become memories. One dream at a time. Pixie and Pirate Destinations never charges our clients anything for our services. We are paid commission from the companies we book vacations with - Disney, Universal Vacations, Norwegian Cruise Lines, etc. You will pay the same amount of money booking a trip with us as you would if you booked it directly through the company itself. And sometimes we are able to find a better deal because of the special promotions that are available. A reservation transfer may be an option if you have already booked a vacation. Our Dream Vacation Planners (DVPs) work strictly off of commission and we hope that if you decide to book a vacation you will choose to book your vacation with Pixie and Pirate Destinations. Please keep this in mind if one of our DVPs does a lot of research on a vacation for you. It cannot be stressed enough as we work very, very hard for our clients. We are not paid hourly, so each hour that we invest into your vacation planning is not paid until AFTER you travel. It is a personal decision to book directly with Disney, but we ask that you are considerate of our DVPs' time and effort. If you are looking for help with a Disney vacation and intend to book directly with Disney after we spend hours working on personalizing your vacation, we would appreciate it if you would reconsider - or consider a transfer, details below. More details on our website and full list of Terms and Conditions. Is this a discount travel site? No, Pixie and Pirate Destinations is not a discount website and we are not a travel vendor. Instead our DVPs provide a free service - helping families make the best, educated decisions about their Disney vacations. Whether you book with Disney, with a big nationwide travel agency, or our small business, the price will most likely be the same. We are NOT a discount travel website. However, the level of customer service and personalized attention you receive from your DVP is what makes us different. We work with you to plan a vacation for the same cost as you would pay if you booked with Disney directly or through an agency that does not specialize in Disney vacations. Is Pixie and Pirate Destinations a travel agency? The simple answer is yes. Pixie and Pirate Destinations, LLC is a registered business that is certified with CLIA. Our DVPs are home based agents that are graduates of Disney's College of Knowledge. They work for Pixie and Pirate Destinations as independent contractors and are here to provide the best customer service to our clients. Why should I book my vacation with Pixie and Pirate Destinations? Our DVPs have an honest passion for Disney and the Disney destinations. Each Disney planner has been hand-picked based on their qualifications and receive extensive, continuous training on how to run a customer service based business. They represent Pixie and Pirate Destinations by offering the best customer service in the industry and are willing to work "with" you in planning your vacation. They are here to help guide you along the way with advice and suggestions. Each of our DVPs are knowledgeable about the Disney product and are up to date on the latest discounts and special promotions available to our clients. At Pixie and Pirate Destinations our motto is "go above and beyond for each client's individual needs." As a valued client, your Dream Vacation Planner will be here every step of the way to help you with your concerns or questions. You will have an email address and phone number for your DVP so that you can reach them when you need to. Once your vacation is booked your DVP will continue to help with dining reservations, a personalized daily itinerary, an updated personal web page where you can track your reservation and more. Each of our planners is trained to see you through to the end of your vacation to make sure you have a magical time. The first step in the vacation planning process is to request a quote for your desired Disney destination. When you request a quote you have the option of choosing the DVP you want to work with. If you do not choose a DVP, then one will be assigned to you. You will be working one-on-one with your Dream Vacation Planner that is very knowledgeable about all things related to Disney travel. Your DVP is like a personal assistant that listens, guides and suggests to you the best options for your family. You will have their email address and phone number in case you need to ask questions along the way (and we know you will need to!). If for some reason your DVP is unavailable at a certain time (this is rare), we work as a team and another DVP will be ready to assist you. What will my DVP do for me that I cannot do for myself? Initial Resort and Package Decision - We have been there, done that AND had many clients travel. We KNOW resorts, ships and package options inside and out. Continuous Discount Checking - Any time Disney releases a new discount offer our DVPs are required to apply the new discount to any existing reservations that are applicable. We keep up to date on the latest offers every day of the week! Advanced Dining Reservations - For Walt Disney World travelers, dining reservations can be made 180 days in advance. We assist our clients with proper restaurant selections and also make the reservations for them. Personalized Itinerary Planning - Our DVPs can help you make educated guesses on which park is best for which date, which rides to avoid if your kids dislike dark spaces, what hot spots to not miss, etc. There is a lot to consider when planning the days in the parks or aboard the cruise ship - and we can help you better understand your options. Special Requests and Other Details - Details, details, details - this is where the magic is. Any other details that come up regarding your Disney vacation, your DVP will be there to answer your questions and make suggestions. While this may not seem important, it's nice to know that someone is always in your corner and ready with an answer to your question. Continued Support Through Check OUT - Even when you are on vacation your DVP will be available to answer questions if you need them. Having someone in your corner from the very beginning of the vacation planning process through the end of your vacation is a great advantage! All of the above services are FREE to our clients that book a Disney reservation with Pixie and Pirate Destinations. Some of our clients prefer to take advantage of ALL of these services. While others only need us to do one or two. Your vacation planning is important to us, but we never want to step on your toes - you are always in control! To process deposits and payments for your vacation you will need to contact your DVP with your credit card information. Pixie and Pirate Destinations or your Dream Vacation Planner will NEVER personally make a charge to your credit card. You will see a charge from the Walt Disney Travel Company (or another travel vendor such as Universal Travel, Norwegian Cruise Lines, etc.). Your DVP will use your card information to process your deposit or payment directly through the travel vendor (Disney, etc.). Each DVP is under contract to keep your CC information private. If you ever see a charge that you think is fraudulent contact your credit card company immediately. I've already booked by Disney vacation. Do you accept reservation transfers? Yes. Some Walt Disney World®, Disney Cruise Line®, Disneyland®, Aulani, and Adventures by Disney reservations are transferable. There are some exceptions. For more information on reservation transfers please feel free to submit your information here. We are happy to assist you with a qualifying transferred reservation!